Mark Petrone is a Relationship Associate supporting relationship managers in Balentine’s Raleigh office. 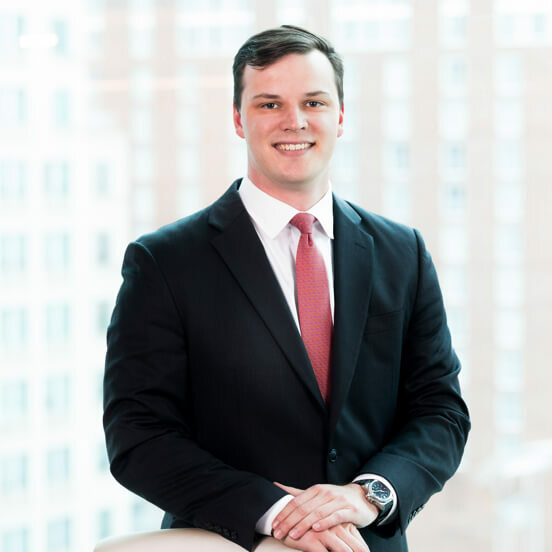 Prior to joining Balentine, Mark worked as a portfolio strategist specialist at First Citizens Wealth Management in Raleigh. Before that, he served as a summer analyst at Sandler O’Neill + Partners in New York City. In his free time, Mark volunteers at a local fire department and EMS agency. Mark is an alumnus of North Carolina State University, where he majored in business administration with a concentration in finance, and minored in accounting and economics. In 2019, Mark will sit for Level II of the Chartered Financial Analyst exam. Balentine has an incredible culture. The team-focused environment coupled with a conflict-free business model showed me that Balentine truly puts clients’ interests first. My decision to come to Balentine. Balentine represents everything that I stand for and what I would want in my own wealth advisor. I spend a lot of my free time volunteering at a local fire department and EMS agency. While in college, I took the opportunity to follow that childhood dream, and I have enjoyed every minute of it. I visited a few cities in China when I was in high school. While in Xian, China, I was able to see the Terracotta Soldiers; that was an experience that I will never forget.